Everybody has heard of Alan Turing. Codebreaker, mathematician, homosexual and philosopher, he famously worked at Bletchley Park deciphering encrypted messages by the German Enigma machine, which helped the war effort by giving vital information to the Allies. 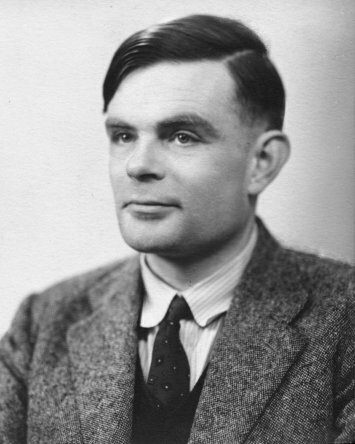 Sadly and rather cruelly he was arrested in 1952 for homosexuality, his security clearance was withdrawn meaning he could no longer work at GCHQ (the successor to Bletchley Park) and committed suicide 2 years later. Fabulous Masterpieces was asked to hand-paint a portrait of Alan Turing in the style of Van Gogh based on a old black and white photograph. 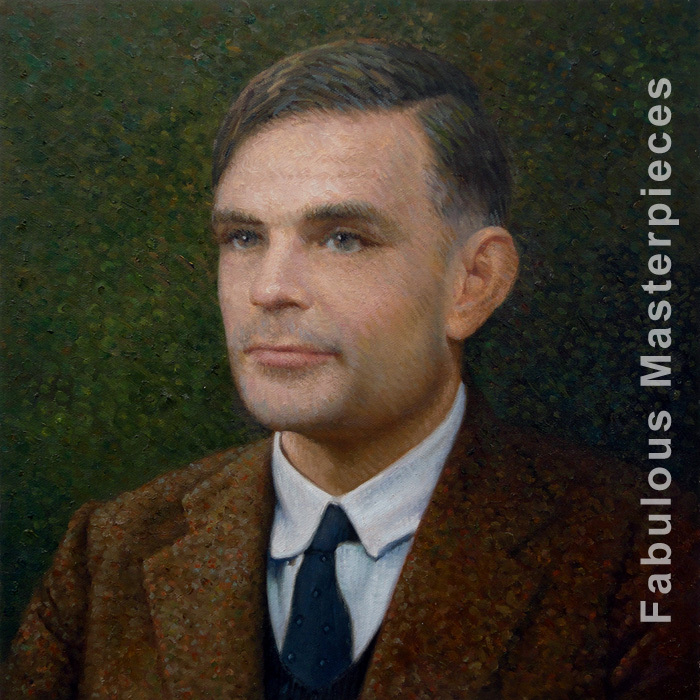 And a close up of the Van Gogh style portrait of Alan Turing…..
Would you like an oil portrait of somebody that you admire or a family member? Looking for more information on Alan Turing?